ore is always better in my book–so here we go again with gates. 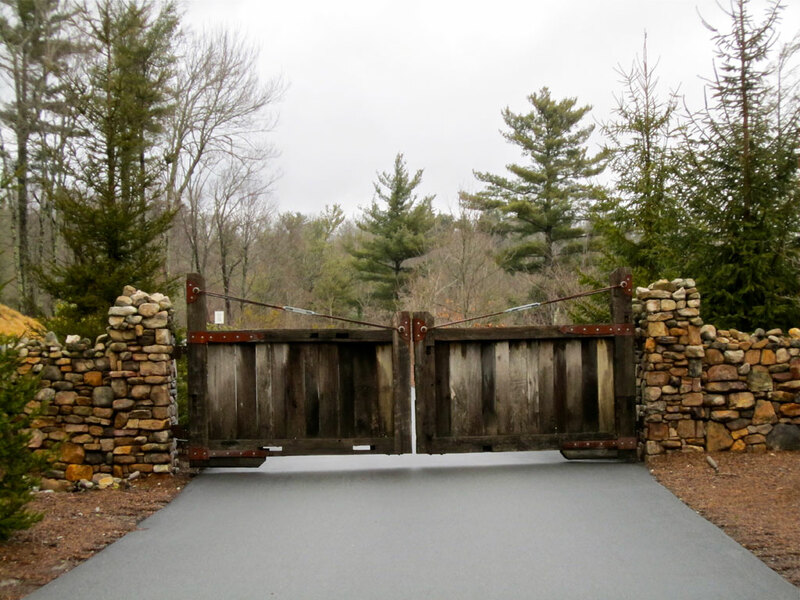 These gates are all located in the beautiful North Carolina mountains–my favorite place to be. The photos were taken on a wonderfully foggy day while house hunting, again. We have not found the next renovation project yet, but are still looking. 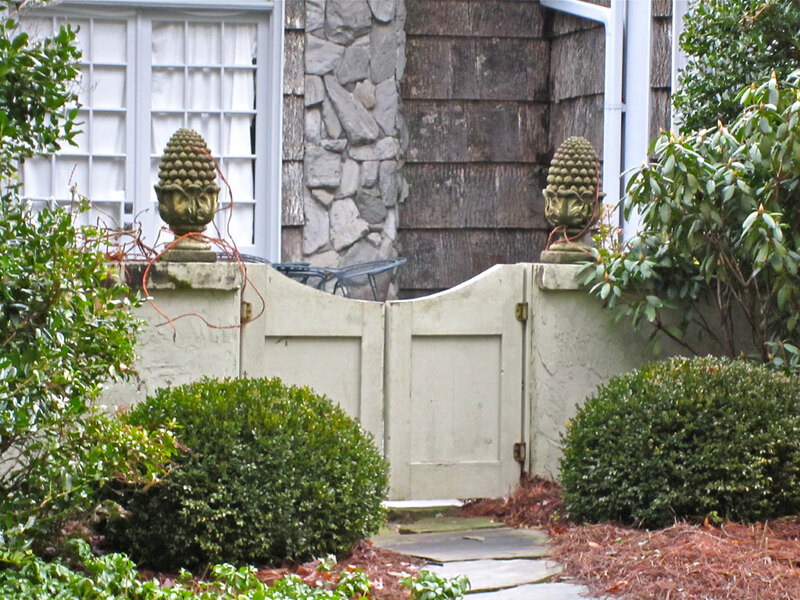 Poplar bark shakes, boxwood, hydrangea and pineapples on the Entry Gate–Welcome! 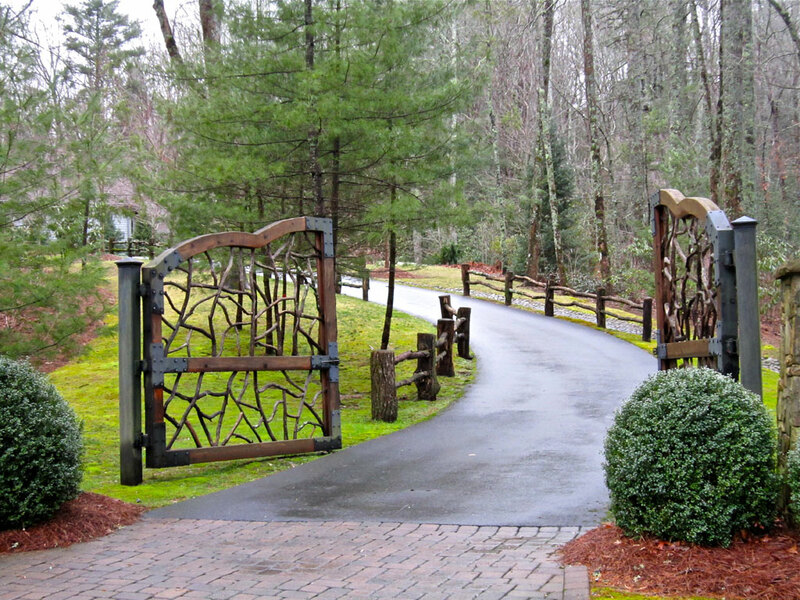 These gates are laurel and rhododendron with a locust rail fence leading up the drive–Beautiful! Large old beams, barn wood, iron hinges and local stone–Just the best! Welcome–please come in! 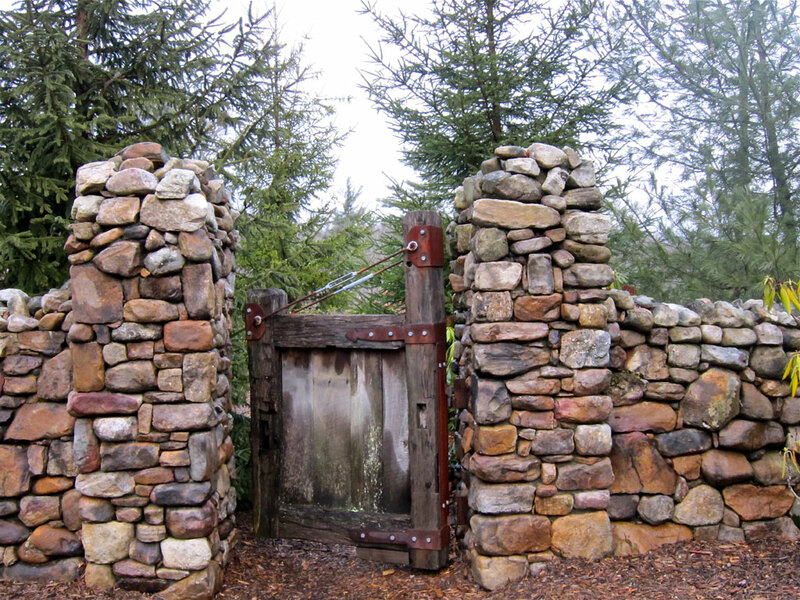 This gate is made from reclaimed beams and barn wood. I hope you had a great time visiting the mountains with me–more later. the frame came down, and i’m searching favorite fireplace rockwork ~ any pictures??? Love all these gates- you need to come to Winston so we can go on a gate hunt together! I LOVE the laurel and rhododendron faux boisy ones!